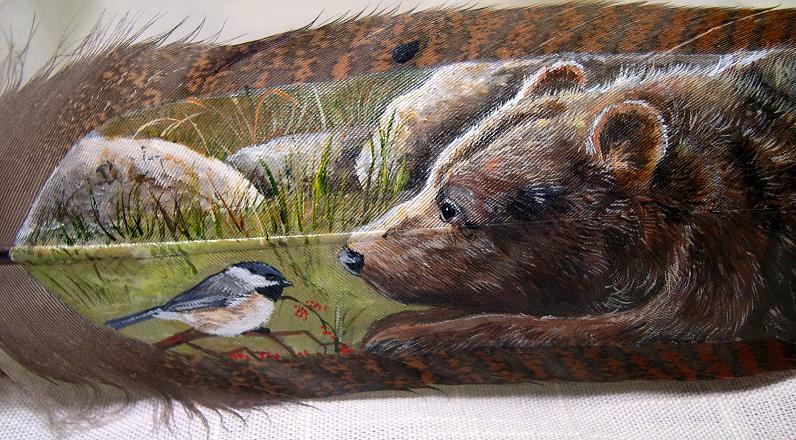 On the following pages you will find examples of painted feathers that are available to order. 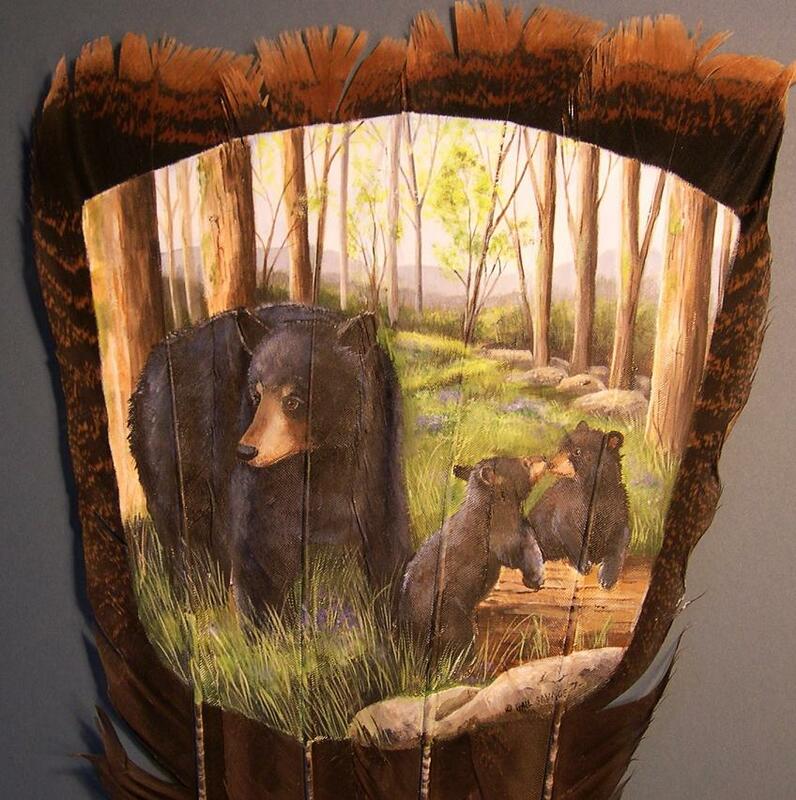 I paint a large variety of designs on several sizes of feathers, and they are priced according to the size of the painting, the complexity of the design and the cost of the framing. 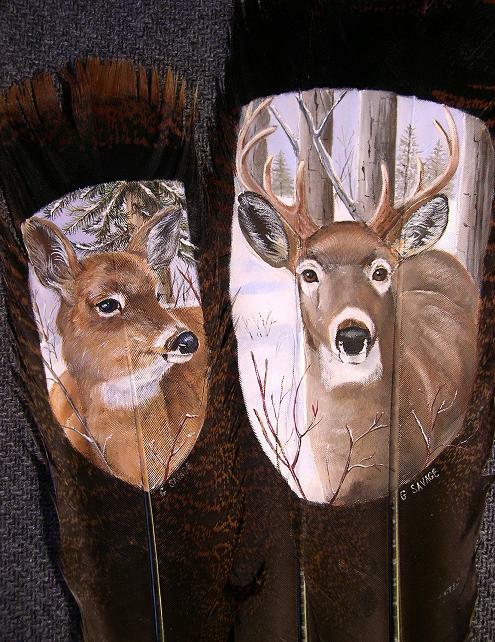 If you have priced painted feathers in galleries and at sportsman's shows I think you will be pleasantly surprised...my average price for a painting on a full-sized feather is from about $95.00 to $125.00, carefully mounted and nicely framed. Smaller feathers painted and framed with equal care are in the range of $75.00, and I even have some very small painted feathers that can be bought for less than $40.00. 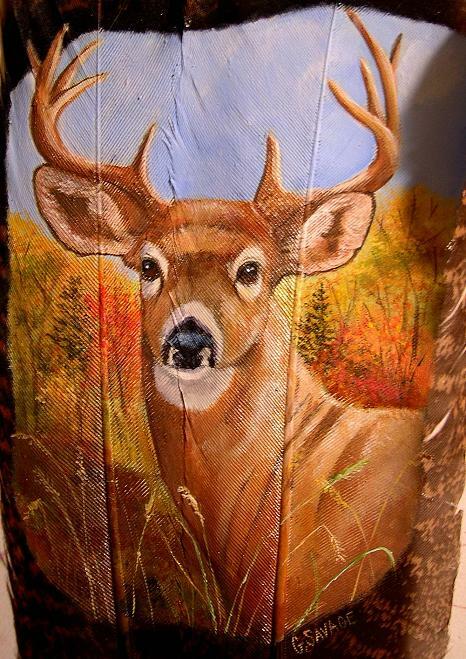 Whatever your budget is, whatever your gift-giving needs are, I will work with you to provide you with a painting that you can be proud to give or own. Shipping charges are extra but never include a handling charge. Please feel free to email me with questions or to discuss an order. 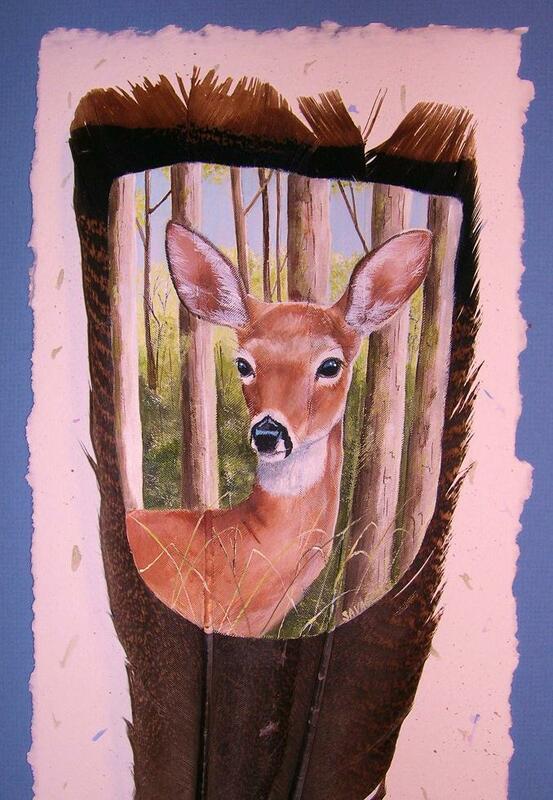 Thank you for your interest in my art, and please let me know how I can help you.